Previous Post Product Reviews - Natural Teeth Whitening Next Post Get The Look with Zuii Organic! 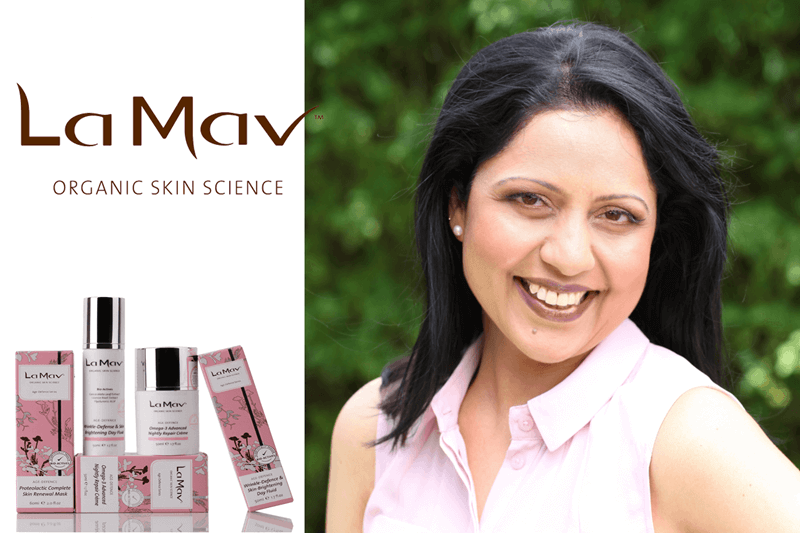 La Mav's Tarj Mavi talks Organic Skin Science! We are excited that special guest Tarj Mavi - La Mav Founder and creator took some time out to chat with us about her range of certified organic skin care which delivers effective and ground breaking results, all without the nasties! What inspired you to launch La Mav skin care? : In fact, behind the creation of La Mav is a very personal experience. After the birth of my second child Jay in 1994 I developed a severe case of postpartum pigmentation. I searched everywhere to find products that were safe, healthy and effective, but to no avail. This is when the idea for La Mav was born. I wanted to create a line of unique products that were good for the skin, good for the body and good for the generations to come. Tell us about the research and development of La Mav and why it's so important? La Mav came into being after extensive cosmetology research and development, involving the evaluation of data in the augmentation of skin firmness, elasticity and hydration. I have spent the last couple of years researching naturally derived certified active constituents that are free of all toxins (parabens, petrochemicals and synthetic ingredients). These constituents provide a potent result driven organic alternative for the repair, restoration and rejuvenation of the skin, at a cellular level, and provide outstanding age defying results that last. What is the most unique and effective natural ingredient you have come across that new green beauty enthusiasts should know about when choosing organic skin care? There are so many amazing natural ingredients, which work in synergy to help the skin heal from the inside, that it is impossible to name just one. What I’ve learned throughout the years is that nature has everything we and our skin need, and each and every ingredient is unique in its own way. 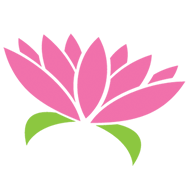 Why organic and natural skin care? Because it works! The greatest thing about organic skin care is that it benefits the skin on a cellular level and enhances its own restorative and healing processes. Besides that, organic skin care is completely safe for your health and for the environment – two serious reasons to make the switch if you haven’t done it already. Serums and natural skin treatments have come to be known as a 'must have' supplement to your skin care routine, particularly for problem skin concerns such as pigmentation and those dreaded wrinkles! Tarj provides some top tips and a guide to the products that are best suited for these skin conditions. La Mav Firming Eye Lotion: This velvety crème visibly rejuvenates and transforms the delicate eye area, leaving it visibly lifted and toned. For best results, we recommend using it morning and evening. Gently apply a thin layer around the contour of the eyes, using the tips of clean ring fingers and dab until fully absorbed. La Mav Bio VA5 Wrinkle Smoothing Day Crème: Highly concentrated daily moisturizer that helps visibly reduce the appearance of fine lines and wrinkles, whilst improving elasticity and firmness. Revitalizes dry and dull skin for a brighter, more youthful look! •Hibiscus esculentus extract is a natural peptide that has BOTOX® like effect that gently relaxes skin to smooth expression lines and helps reduce the appearance of wrinkles. It tones, firms and rest facial muscles. La Mav Wrinkle Defence & Skin Brightening Day Fluid: This mattifying fluid is designed especially for oily to combination skin to reduce shine, leaving a balanced, clear and radiant complexion. For those who have combination skin, prone to dryness, I recommend combining the fluid with moisturizer. La Mav Antioxidant Rich Nightly Repair Nectar: An advanced age-fighting serum that protects the skin from free radicals and daily rigors, enhances its natural glow and helps it regenerate fully while you sleep.Massage 2–3 drops all over face, neck and décolletage until completely absorbed. The nectar can be used alone, or added to your favourite nightly cream/daily moisturizer. La Mav Omega 3 Advanced Nightly Repair Crème: This potent night crème was designed to repair, hydrate and recharge the skin while you sleep, boosting cellular turnover and skin’s own ability to heal itself. For extra nourishment, the nectar can be combined with any of your favourite La Mav Advanced Nightly Repair Nectar. La Mav Anti Dark Circle Eye Gel: Light, cooling gel that revives, rejuvenates, and lightens the delicate eye area. For best results apply morning and evening, after you tone/cleanse. • Polyphenols from seaweed extract and natural Hyaluronic Acid smooth and firm the eye contour. La Mav Rumex Advanced Lightening Day Crème: Ultra-rich, light-weight brightening day crème that prevents the appearance of discoloration and pigmentation and treats existing hyperpigmentation, gradually lightening the skin and clearing the complexion. For best results, combine it with the La Mav Vitamin C Advanced Nightly Repair Nectar. La Mav Vitamin C Advanced Nightly Repair Nectar: We’ve formulated this unique nectar with high levels of Vitamin C and Certified Organic Rosehip Oil to promote visibly lighter, evenly-toned and radiant skin, deliver long lasting anti-aging benefits and also help reduce the appearance of lifestyle damage. The nectar can be used alone, or added to your favourite nightly cream/daily moisturizer.